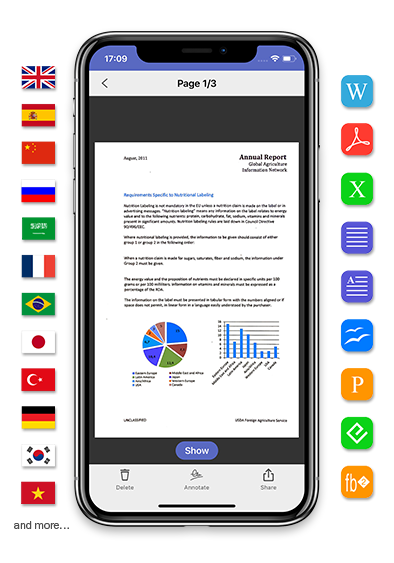 Create PDF and JPEG files and apply OCR to recognize texts in 193 languages. Scan any printed or hand-written papers, create perfect digital copies and save them to JPEG or PDF documents. BookScan - unique feature for digitizing books quickly and easily. 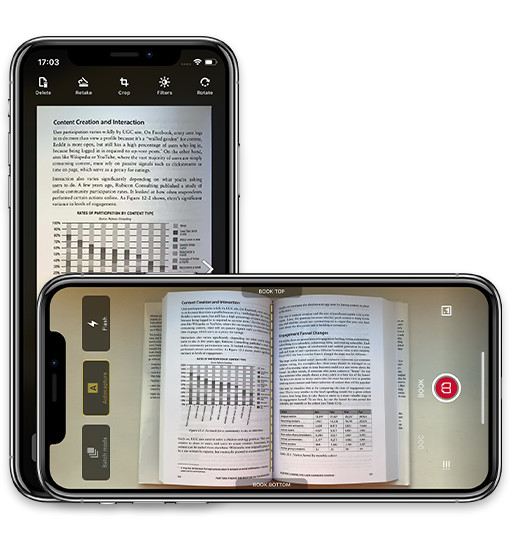 It splits facing book pages into two separate images, removes any defects, and straightens curved text lines (iOS only). 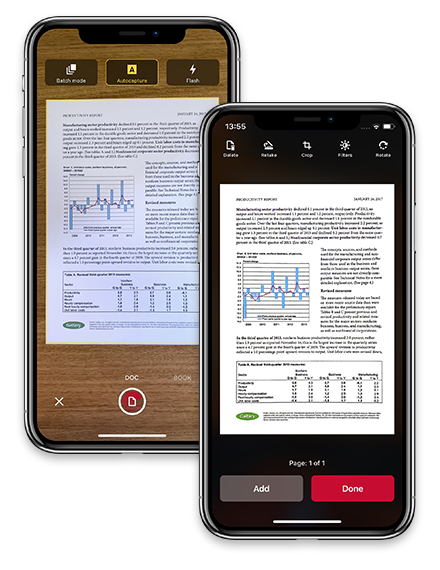 Recognize text from scans in 193 languages and save results in 12 formats (DOCX, PDF, TXT and more), preserving the original document formatting. 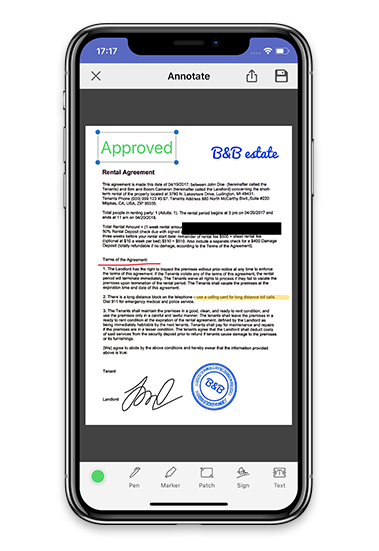 Use our set of easy-to-use tools to modify your PDFs: add your signature or a text box, use highlighter, write with a pen, or conceal sensitive content with the redaction tool. 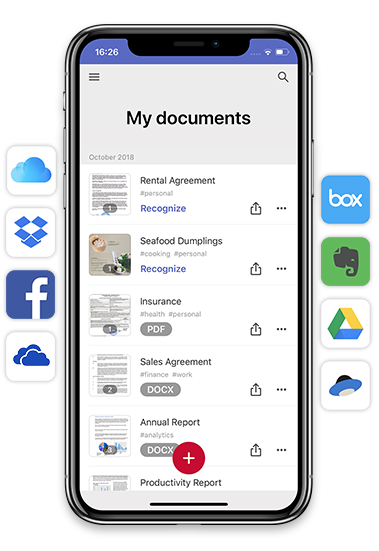 Share your scans with everyone on the go: email, print, or save to cloud storage, including Dropbox, Evernote, iCloud Drive and more. Scan and translate any printed text from image. Scan and manage all your business cards and contacts in a flash. Want to keep abreast of the news? © 2019 , ABBYY Production LLC. All rights reserved. Leave your email and get 1 month free Premium Account in FineScanner! Thank you for interest in FineScanner. E-mail with the download link has been sent to the address you specified.